Reflections at Keppel Bay in Singapore is a 99-year leasehold luxury waterfront residential complex on approx 84,000 m² of land with 750m of shoreline and was completed by 2011. The complex has 1129 units. 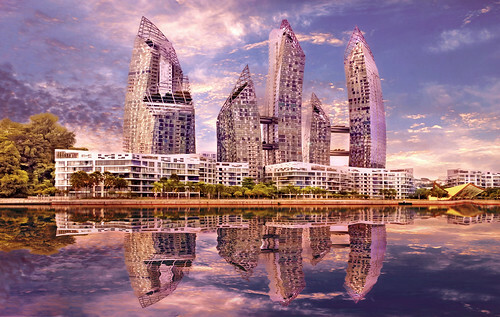 The complex was designed by Daniel Libeskind, who also created the masterplan for the World Trade Center Memorial. The local architect was DCA Architects. The six glass towers afford panorama views of Mount Faber and Sentosa.